A lot is written about the foods you need to avoid if you want to lose weight and feel wonderful. But you still need to eat and may be left wondering what is healthy to eat. Here are nine food types you should to eat to stay healthy. Yes, this does include red meat as well. Red meat has received a lot of bad press in recent years but we do need to remember that we, as a species, have been eating meat for millennia. Our bodies were designed to run on a combination of vegetation and meat. (One look at our teeth should be enough to prove that - we are definitely omnivores). So why has meat been getting such a bad rep? The truth is that meat today is big business and farmers now look at ways to get the best return on their investment. This means using artificial chemicals to promote growth and prevent disease, and the use of foods that fatten the animals faster - in most cases, grains instead of grass. Animals that eat the foods that nature originally provided and that are grown organically without chemicals provide a very healthy meat product. Cows are meant to graze on grass and should be able to move. Chickens should also be free to roam - as all other animals farmed for meat should be. Nature did not intend for cows to eat grains - they do not digest it as well - meat from grass-fed cattle is a lot better nutritionally. More Omega-3 and less Omega-6. A lot more Conjugated Linoleic Acid (CLA) - essential for building lean muscle mass and burning fat. More vitamin A, vitamin E and the cellular antioxidant Glutathione. 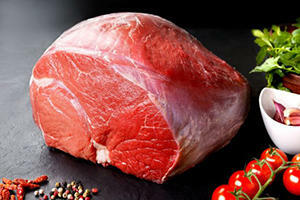 Wherever possible, choose sources of meat where the animals are raised traditionally. This is not always a possibility when budgets are stretched so don't worry if you cannot always choose organic meat. What it boils down to: If you can afford it, meat from animals that were raised traditionally is best. There are many different types of fish that you should include in your diet - the ones that are best for you are the oily fish like salmon. This is one area where all the pundits of a healthy lifestyle finally seem able to come to a consensus - fish is healthy. Fish packs a punch when it comes to top class protein, nutritional value and, most important of all, Omega 3 fatty acids. Omega 3 has been proven essential in the fight against mental disorders and heart disease. Omega 3's also help you to fend off depression - all you need is to have one or two portions of fish a week and you might be able to throw out the Prozac. A lot has been said about the danger of eating fish due to the pollution in the oceans - the benefits, however, far outweigh the possible risks. What it boils down to: Fish is one food that most experts agree is vital to great health. It benefits mind and body and reduces the risk for serious illness. Eggs are nature's own super food. Once vilified, the poor little egg yolk has now been proven to be a powerhouse of nutrition. We now understand a lot more about cholesterol - there are two types, LDL (this is the bad one) and HDL (the good one.) Eggs work on converting the LDL to HDL - so yes, they do increase cholesterol levels but in a good way. Eggs are also the only viable source of Lutein and Zeaxanthin - vital for the health of your eyes. Another big benefit is that eggs are able to help you feel fuller for longer and this can help you eat less overall. One study showed that women who had eggs for breakfast as opposed to a bagel or cereal actually ate fewer calories in total for the next day and a half. What it boils down to: Eggs are nature's super food and deserve a place at your table. 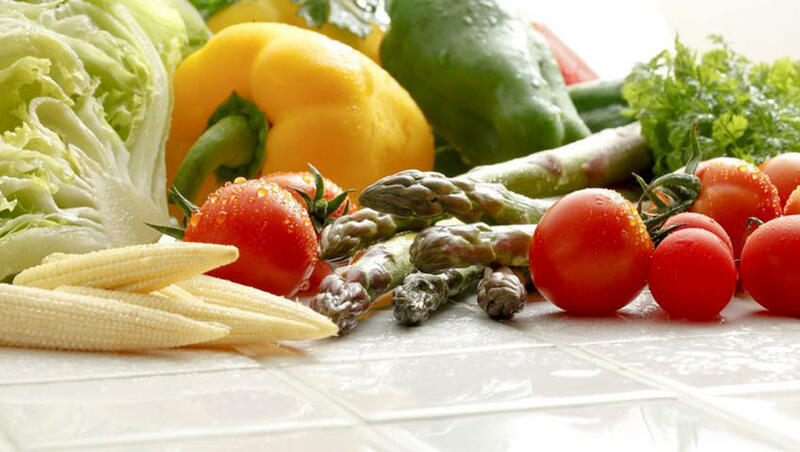 Vegetables are an essential source of vitamins and dietary fiber - essential to keeping your body in tip top shape. Studies have shown that those eating veggies on a regular basis are less likely to develop lifestyle diseases such as diabetes. Get cracking on making veggies a part of your daily eating plan - they help fill you up, taste great and are non-fattening. 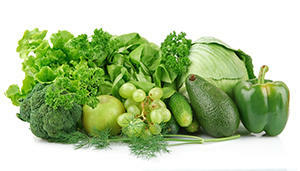 What it boils down to: Veggies have a lot of fiber and several of the nutrients that are essential to good health. Varying the veggies eaten on a daily basis will ensure you get the full range of nutrients essential to health. A lot has been said of late about the fructose component in fruit - to the point where people are advised to steer clear of it. This is a short-sighted approach. Fruits do have a lot of fructose but they also have lots of fiber and essential vitamins. They help you feel full for longer and are low in calories. There is nothing wrong with eating fruit. If, however, you are trying to slim down, you need to restrict your intake to one fruit a day. What it boils down to: Fruits are good for you - they can help with that sugar craving, have lots of essential nutrients and will help increase your fiber intake. You really only need to restrict your intake if you are trying to slim down. Think about a seed or nut for a minute - nature intended these to be the building blocks for a whole new plant - they are packed with nutrients. They are especially valuable sources of Vitamin E and Magnesium. They are high in fats but, because these are monounsaturated fats, they are healthy. They have been shown to help reduce the incidence of visceral fat and to balance blood sugar levels and insulin response. This does come at a price though - you need to keep careful track of how many you eat because they are very high in calories. A serving size is no more than a small handful at a time. What it boils down to: Nuts and seeds in moderation are good for you. Tubers are otherwise known as root vegetables and included among them are carrots, beets and potatoes. They are great at making you feel fuller and an excellent source of fiber. That said, they have a lot of carbs and so should be avoided on a low carb diet. What it boils down to: If you are trying to shift excess pounds, tubers are best avoided. You do need healthy fat in your diet - a diet too low in fat will inhibit weight loss, rather than support it. The key is healthy fats like butter and olive oil among others. For those not getting enough Omega-3 or vitamin D supplement with a spoonful of cod liver oil daily - just close your eyes and gulp it down. It's not so bad once you become accustomed to it. If you plan on cooking at high temperatures, you should look at using a saturated fat such as butter or coconut oil - these are more stable at high temperatures because they do not have double bonds. Extra virgin olive oil but it is a great way to add flavor to a prepared meal. What it boils down to: You need to eat oily fish a couple of times a week or you need to take cod liver oil. Include different types of fats daily but do stay away from Trans fats. Saturated fats hold up best when using high heat. Marketing gurus have been pushing the idea that low fat dairy is best for us. The science does not bear this theory out though. The trick is to choose dairy products from grass-fed animals as it has high levels of Vitamin K2 - essential for bone and heart functions. In 2012, a large study shocked the current school of thought by showing a correlation between weight gain and the consumption of low fat dairy products. Studies in Europe and Australia proved that there was a correlation between a higher risk of heart disease and the consumption of low fat dairy products. Some studies, it's true, did not agree with these findings. However, what we can conclude is that high fat dairy may not be nearly as bad for us as we originally thought. What it boils down to: High-fat dairy is not the big baddie we have been led to believe and might even lower the incidences of heart disease and weight gain. In our busy lives, it can be difficult to get in all the different types of food our body needs. To make up for the nutrients your body is lacking, try a natural supplement. This will compliment the foods you are eating in order to contribute to your optimal health and wellbeing.